Please Review! The Waiver will be signed at rider check-in. EACH ENTRANT MUST SIGN AN INDIVIDUAL WAIVER AT RIDE SIGN-IN. – FAXED OR MAILED WAIVERS ARE NOT ACCEPTED. I, the undersigned, know and understand that BICYCYLING AROUND MINNESOTA – BAM (hereinafter BAM) and its related events involve potentially hazardous or dangerous activities and conditions. I attend BAM and all related events out of my own free will and choice. In choosing to attend BAM and any related events, I fully accept and assume all risks, whether before, during or after BAM and its related events. These include, without limitation, physical injury, mental injury, emotional distress, trauma, sickness, illness, death, contact with others, equipment failure, inadequate safety equipment, the effects of weather including extreme temperature or conditions, traffic, contact with motor vehicles of all types and descriptions of and/or design and other defects in the road and facilities, including campgrounds, all risks along the route, and the negligence of others, including, without limitation, those persons organizing, sponsoring, or participating in BAM and/or events occurring in connection with it. I am aware that the risk of injury or death is always present in biking and BAM’s attendant events and that this risk cannot be eliminated by BAM organizers, sponsors, and the government and private entities that host or assist in the BAM events. I know and accept that biking and road accidents may result from the failure for any reason (including negligence) of BAM organizers, sponsors, and the government and private entities that host or assist in the BAM events to correctly determine the conditions and safety of the road, surface, route or weather or to predict where or when an accident might occur. All risks are known, appreciated and assumed by me, and I waive any and all specific notice of the existence of them and further waive the obligation, if any, that any other person or entity has to advise or warn me of them. I assume liability for and agree to pay my own medical and emergency expenses in the event of injury, illness, or other incapacity regardless of whether I authorized such expenses. I authorize the use and release of personal and medical information in connection with any medical services provided to me. I realize that BAM events require physical conditioning. I represent that I am in sound medical condition capable of participating in BAM events without risk to myself or others. I have no medical impediment that would endanger others or me. I understand that a situation may arise during BAM and related events that may be beyond the control of the sponsors, promoters, organizers, government and private entities or others that host or assist in BAM and all related events, or may arise from negligence by them, and I accept and assume all risks of participation and/or attendance. I will be solely responsible for the condition and adequacy of my bicycle, safety gear and equipment. I will ride safely within the limits of my own abilities, my equipment and the riding conditions and in a manner that does not endanger others or me. Knowing these facts and in consideration of my entry acceptance, admission to and/or participation in BAM and its related events, I for myself, spouse, children, heirs, next of kin, assigns and anyone acting on my behalf, release, waive, discharge, covenant not to sue and agree to hold BICYCLING AROUND MINNESOTA – BAM, INC. , subsidiaries and affiliated entities; BAM sponsors and participating clubs, communities and organizations; BAM officials, emergency and support personnel, volunteers and their representatives, official Friends of BAM; persons and entities that provide event recommendations, advice or services relating to matters such as route selection, design or maintenance, risk management, safety and first aid; all property owners, law enforcement agencies and governmental or public entities, including without limitation the State of Minnesota, its counties, cities and special districts; and the officers, directors, employees, representatives, agents, assigns, and successors of all of the above, harmless from any and all claims, demands and actions of any and every kind, including claims of negligence. I have, may have or may hereafter accrue against the released parties directly or indirectly arising out of or relating in any respect to my attending or participating in BAM and/or any related events. My waiver and release of all claims, demands, actions and liabilities shall include without limitation, any personal injury accident, illness or death and any property damage or loss that may be: (a) caused by any act, or failure to act, by the above-identified persons and entities, including without limitation, their negligence, errors, omissions, fault, failure to enforce rules, conditions of the routes and/or event premises, and/or (b) sustained by me before, during or after BAM and its related events. I acknowledge that I am signing this agreement freely and voluntarily, and intend by my signature for this to be a complete and unconditional release of all liability to the greatest extent allowed by law. I further acknowledge that no representatives, promises, statements or inducements have been made to me other than as set forth in this document. I will abide by all BAM rules and regulations. 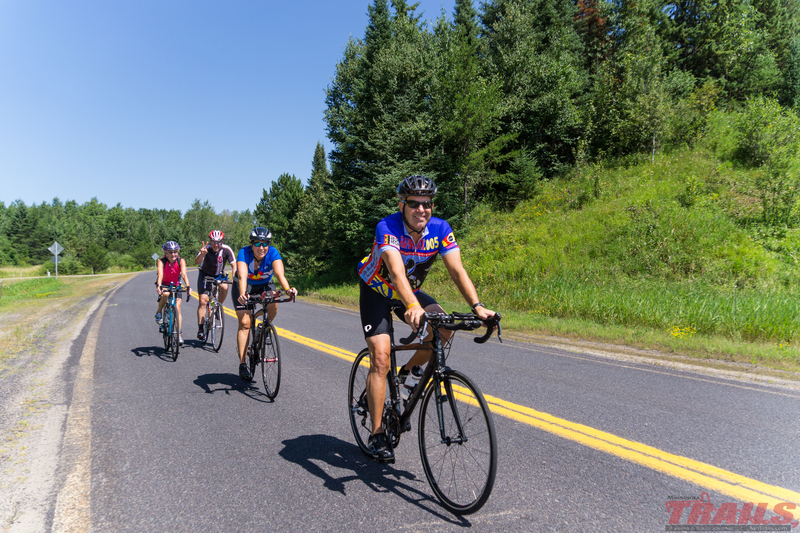 I understand that my name, address, photograph, voice and/or likeness may be used in promotional or advertising materials of or by BICYCLING AROUND MINNESOTA – BAM, INC. and its licensees. I consent to such uses and waive any rights of privacy or publicity I may have in connection with those uses. I also waive any privacy rights that may result from disclosure of information about me, including without limitation, in connection with provision of any medical services by BAM sponsors and organizations. I further agree to indemnify and hold harmless the parties released above from any and all losses, damages, injuries, claims and expenses, including attorneys’ fees, arising from or relating in any respect to my attendance and/or participation in BAM and/or its related events of my breach of this agreement. If I am a minor, my parent or guardian also is signing in my behalf. We both agree to be bound by the terms of this agreement, waiver and release. I also waive all spousal claims relating to BAM, if any, that I hold or that may arise through me. I agree that no modifications or amendments to the standard Entry Form and this waiver and release shall be binding unless they are accepted in separate writing signed by the President of BICYCLING AROUND MINNESOTA – BAM, INC.